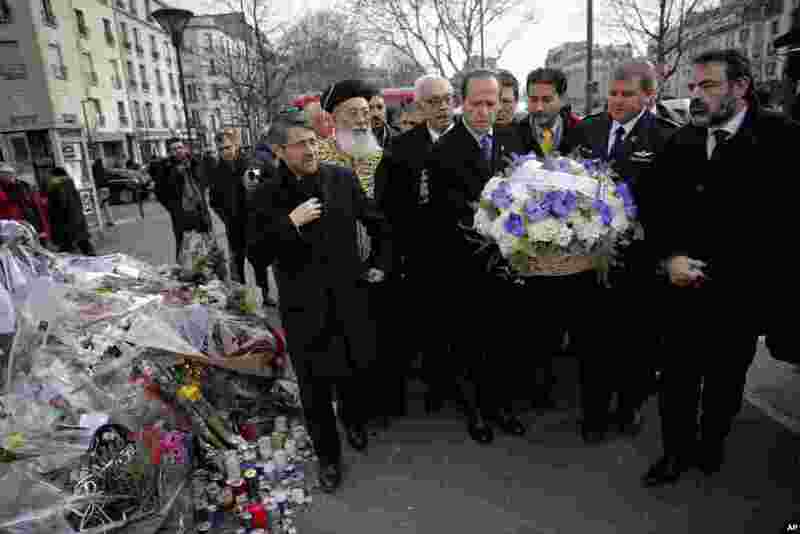 1 Jerusalem Mayor Nir Barkat, center, and Israeli Chief Rabbi Shlomo Amar, second left, lay a wreath of flowers at the kosher grocery where Amedy Coulibaly killed four people in a terror attack, in Paris, Jan. 21, 2015. 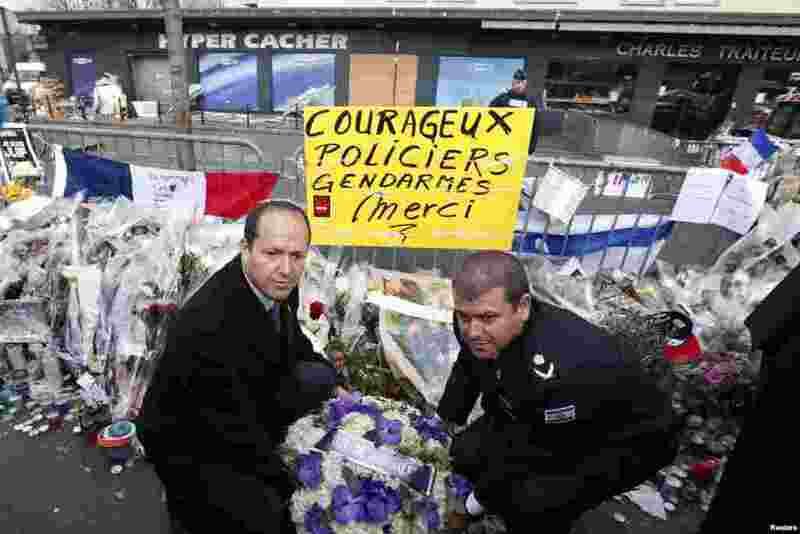 2 Jerusalem Mayor Nir Barkat and Jerusalem District Commander, Major General Moshe Chico Edry place flowers near the Hyper Cacher kosher supermarket at the Porte de Vincennes in Paris, Jan. 21, 2015. 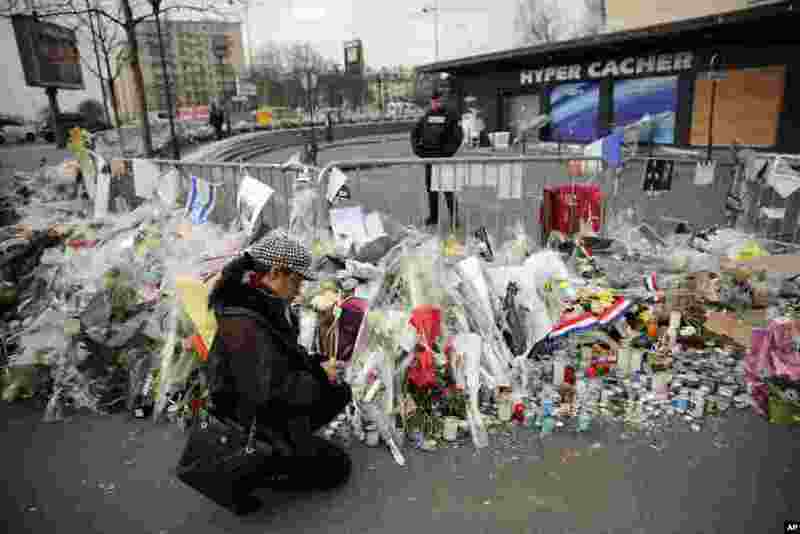 3 A woman lights a candle outside the kosher grocery where Amedy Coulibaly killed four people in a terror attack, in Paris, Jan. 20, 2015. 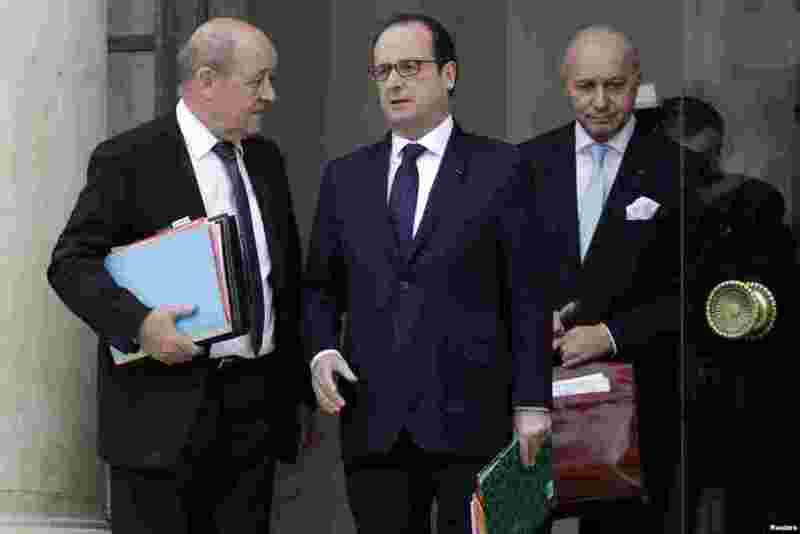 4 French President Francois Hollande, center, speaks with Defense Minister Jean-Yves Le Drian, left, and Foreign Affairs Minister Laurent Fabius at the end of a defense council at the Elysee Palace in Paris, Jan. 21, 2015.